SEO Packages For Small Business with Top Rankings in 2019 | CAE Marketing & Consulting, Inc.
SEO Packages tailored for your business. Whether you have a small business that just needs to rank for your local area, or you have an established business needing national SEO exposure, we have the solution for you. Both our local and national SEO Packages come packed with features and benefits, including full transparency and reporting. You’ll have access to your SEO campaigns 24/7 through our marketing dashboard and our mobile app. Professional SEO Marketing Packages tailored for your business. Our SEO packages are powerful and effective. We will get your business more visibility – Guaranteed. If we don’t, then fire us. No contracts, no obligations. Every business is different, so every business will need a specialized SEO strategy. Your actual SEO Package & cost will depend on your market, niche, and keywords you’re after. The length of time it takes to rank your website will also depend on these factors, as well as your monthly budget. Contact us to request a quote and we will give you an estimate and projected length of time to rank your website based on our analysis. 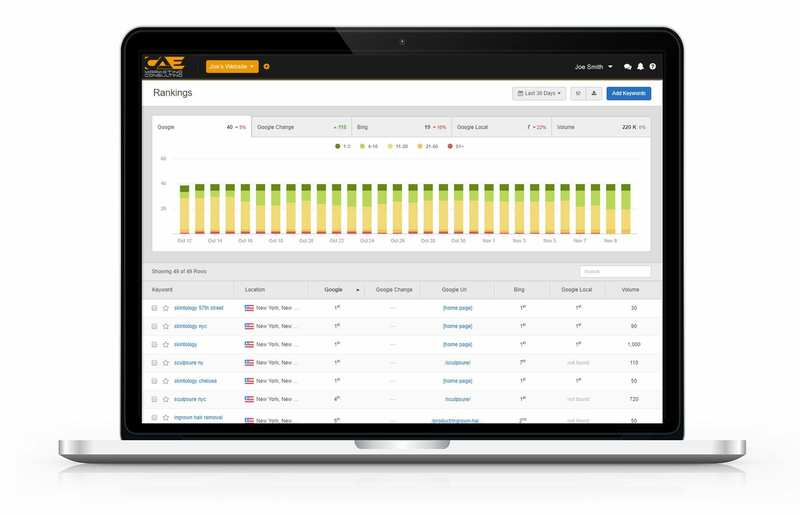 Monitor you SEO Campaigns with our keyword rank-tracking tool. Updated daily and completely FREE. Track local or nationwide rankings. Track Google, Bing, and Google Maps, all in one place. Look, we’re not going to bore you with stories about what we can do or how effective our SEO packages are. Instead, we’re going to show you. 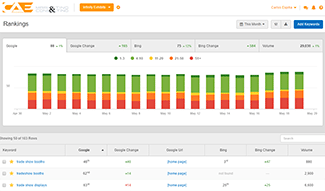 Our clients experience dramatic increases in organic traffic, Google rankings, and total keywords ranked for.